A fine oil on canvas which dates to circa 1930 by noted British artist Harold Dearden. 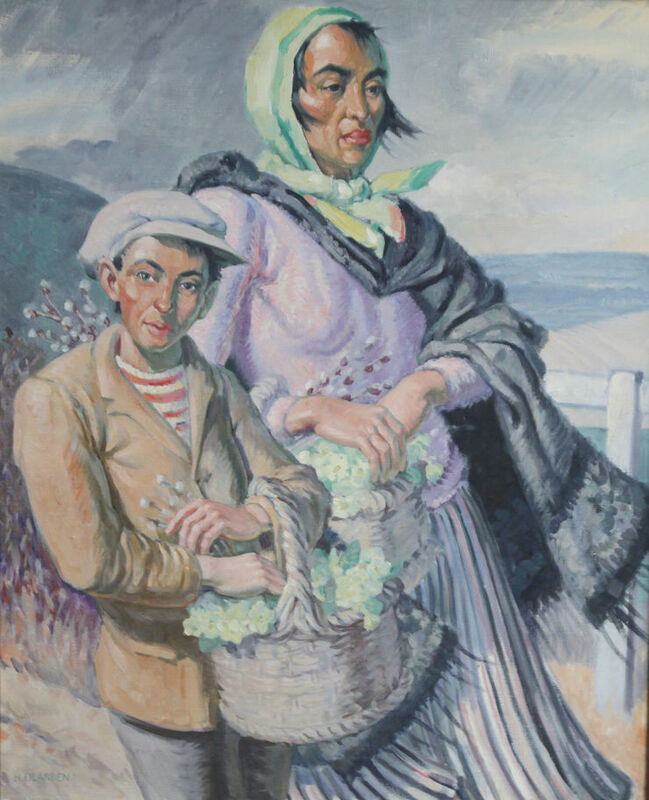 It is a super Art Deco portrait oil painting which depicts Gypsy Primrose Sellers in an open landscape. It is vibrant, bright and full of vitality and Post Impressionistic colour. 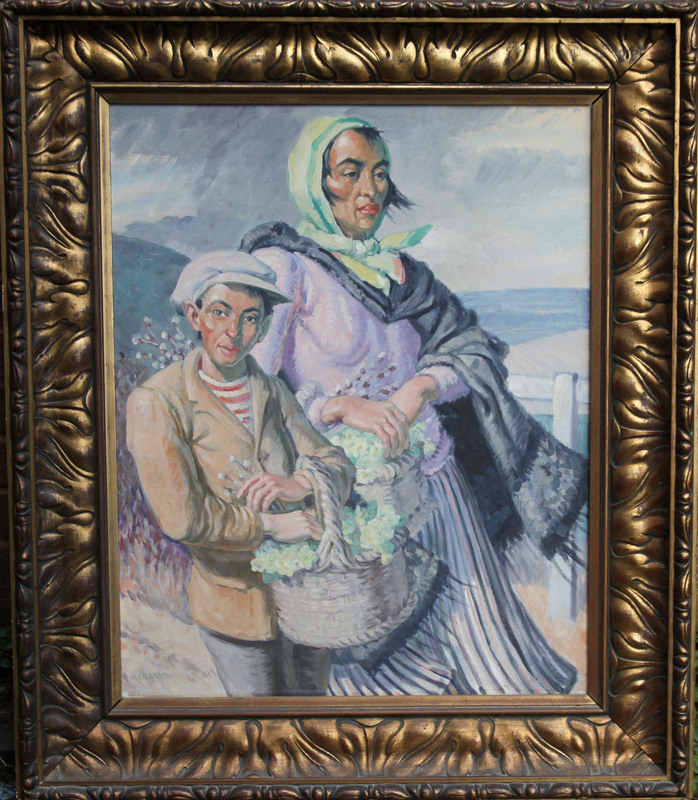 It is a fine period British oil painting. Framed in a original gilt gallery frame 40 inches by 34 inches. In good condition. Harold Dearden (1888-1962) was an oil and watercolour painter, and a draughtsman in ink and wash. From 1905 he studied under H Barrett Carpenter at Rochdale School of Art, followed by a period of five years during which he studied under Gerald Moira at the Royal College of Art. In 1920 Dearden became the head of Swindon Art School, a position he held for 30 years, and for a time he held the presidency of Swindon Artists' Society. His work has been exhibited in London and provincial galleries, and is held at the Museum and Art Gallery of Swindon, where he lived.